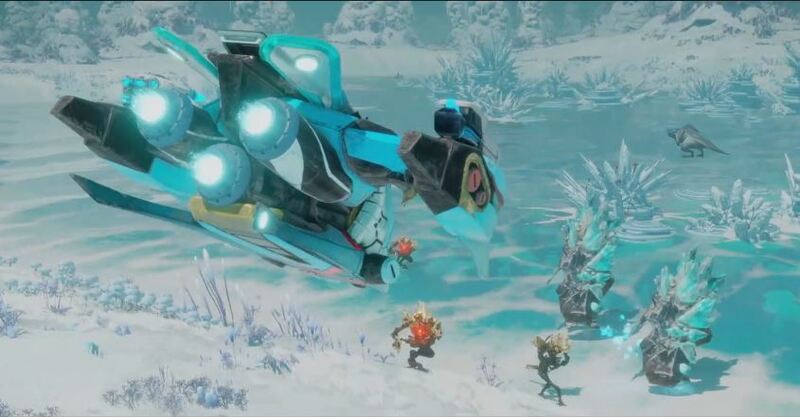 One of the most pleasant surprises at E3 this year was the news that Ubisoft’s previously announced toys to life space faring adventure Starlink: Battle for Atlas would feature Fox McCloud from Nintendo’s iconic and eponymous space combat franchise. Of course, given that Nintendo and Ubisoft have already previously collaborated before- such as on last year’s excellent Mario+Rabbids: Kingdom Battle– this shouldn’t have been that much of a surprise. “So they came a third and fourth time to check out the demo, to the point where we were finally showing it off to the President of Nintendo of America, Reggie Fils-Aimé. I’ll never forget when he grabbed the controller and said, “This is a neat concept you have here.” It felt like something was happening, but we weren’t exactly sure what. It’s good to see that Nintendo is getting more and more amenable to letting other companies use its IP- not only does that give its IP more exposure (not that they needed it, but still), but also, it improves their relationships with third party developers and publishers, which is something Nintendo really could stand to do. Starlink: Battle for Atlas will release on October 16 2018 for Nintendo Switch, PS4, Xbox One, and PC.